School shutting down? Singing in order to prevent it? It kind of reminds me of… you know what I mean by that. Love Live! 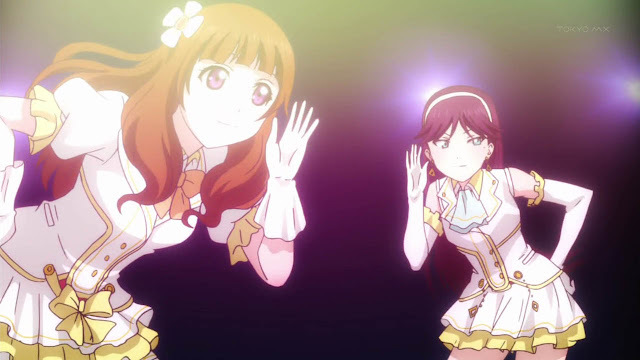 School Idol Project opened up nicely with the establishment of the situation and their plan on how to work things out. Otonokizaka High School is closing down because the number of freshmen applicants wasn't able to reach the quota. 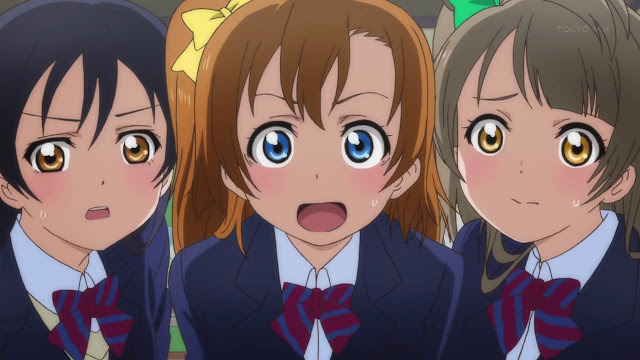 In order to attract more students to apply and enroll to their high school, Kousaka Honoka (Nitta Emi) decided that they should start a school idol. Music-genre is not really my type of series unless they'll have some really interesting story or drama or something that can catch my attention other than being moe or what. Love Live kind of reminded me of TARI TARI and K-ON! because of the characters and that doesn't really look good for me since I disliked both series. The direction of the series looks pretty generic (or maybe it's just me -_-). On the looks of things, I'm thinking that it'll be similar to TARI TARI. As the issue is being tackled - the girls' road to being an idol group - the characters will be introduced per episode through certain things. I'm pretty sure we're all used to this. 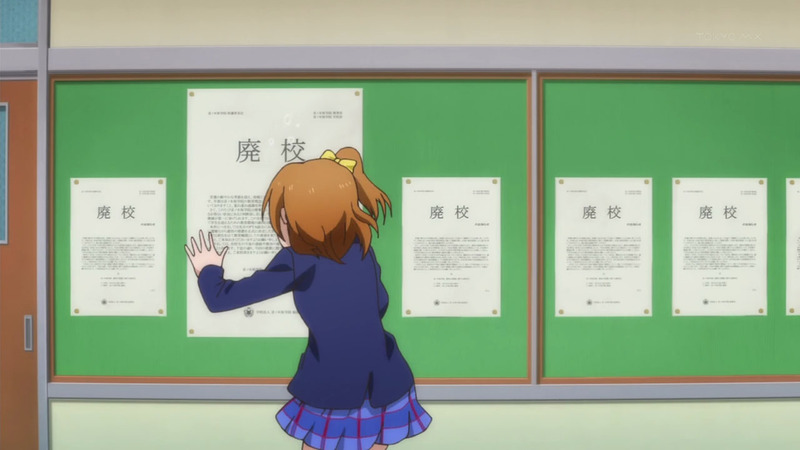 SO I don't really think Love Live will be interesting, to be honest. The characters look pretty generic and too moe for me to enjoy. The three main girls that will head this series will be Kousaka Honoka who kind of reminded me of TARI TARI's Miyamoto Konatsu minus the blackmailing. She's very energetic and kind of focused on what she really wants to do even though it seemed impossible. Sonoda Umi (Mimori Suzuko) has got to be my fave among the three. She seems to be the serious type of character that will keep the balance for the characterization. She seems to be the type to look at the reality of things and probably dislikes risks or such. Finally there's Minami Kotori (Uchida Aya) who reminded me of TARI TARI's (again -_-) Okita Sawa who's more of the supportive type of person who'll always be there to fix things up and care more of others than herself. 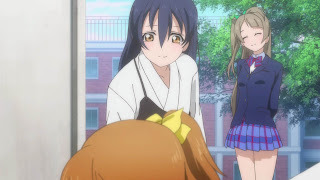 Love Live is definitely visually good. The character designs are really cute yet pretty generic. They're definitely something you'll see in typical slice of life-moe series out there like K-ON! or maybe just plain slice of life like Hyouka in other worlds, their design is a good reminiscent of KyoAni's style. The background art is really nice as well. They're definitely pleasing to look at. 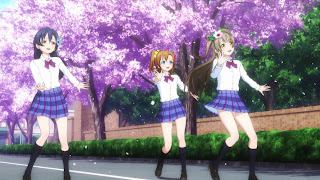 As an idol series, it's no surprise that the animation is pretty flawless. I like the OP sequence although the CGI at the ED sequence doesn't really please me -_- SO I'm pretty much hoping that there won't be much CGI in here. 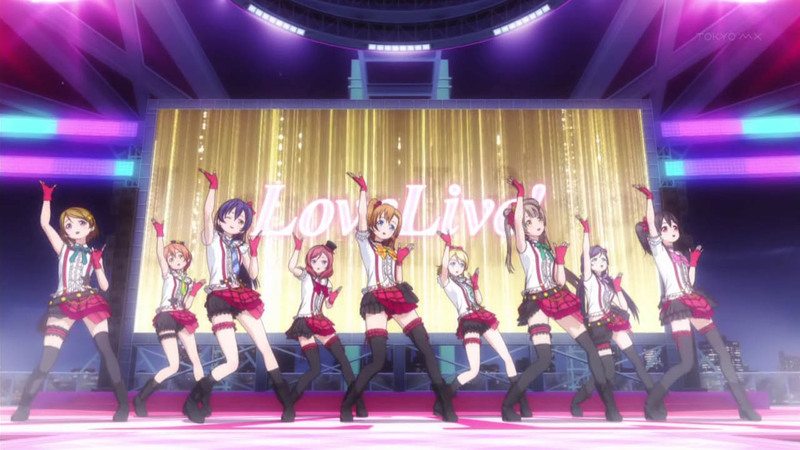 The style done at the OP sequence as well as the video of A-RISE is definitely what I'd like to see. The music is okay. The BGMs are fitting for the scenes and they're pretty fancy. Both OP and ED songs are pretty energetic which seems right for the series. As for the insert song, I think that the best thing about it is the difference of the singers' voices. They had really good combination and can be distinguish from each other. I think that the best thing about this series' insert songs will be the combination of the characters' voices when they sing. 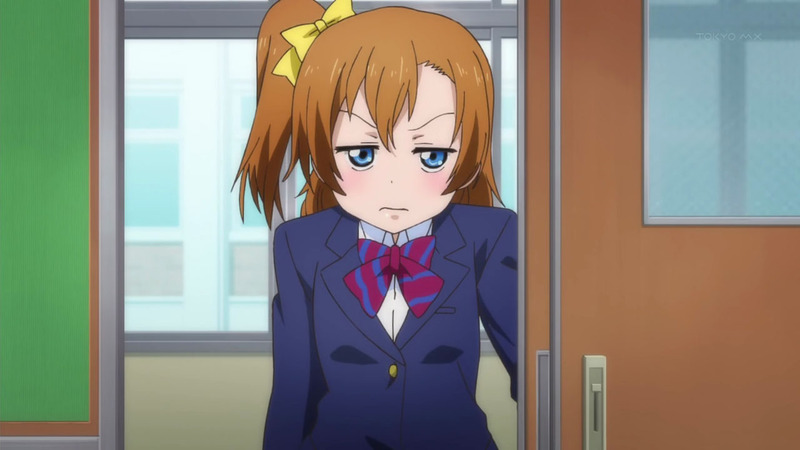 Overall, I think that Love Live will be a pretty decent series. The story won't be that interesting and the characters won't be as well but the songs are pretty nice although not really topping AKB0048's :P BUT hey, Love Live wins me in character designs when compared to AKB0048. LOL.